Huawei has officially announced on Weibo that the Huawei Mate 20 RS Porsche design will be officially released to the market on November 17. The price of Mate 20 RS Porche is simply off the roof. The luxury pricing continues of the previous generation Mate RS Porsche design. The base version of this Huawei Mate 20 comes with a 12,999 Yuan (PKR 25000). 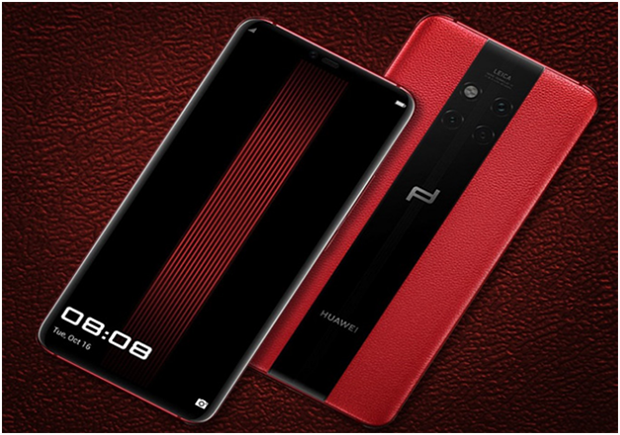 The Huawei Mate 20 RS Porsche design uses a special symmetrical line segmentation track design with a luxury leather grade hand-processed cowhide material to give it a delicate touch. It comes in red and black color options. The matrix multifocal imaging system consists of a triple-camera setup with a flash called the “Porsche Eye”. For setting up this design, it took Huawei 18 months. The camera setup of this smartphone is identical to that of the Mate 20 Pro. Huawei Mate 20 RS Porsche design is also powered by a Kirin 980 processor coupled with massive RAM power of 8GB. Internal space of 256/512GB is there which is expandable via Huawei’s NM card slot. Triple camera set up is on rear, which has a 40MP wide-angle lens, 20MP super-wide angle lens, and an 8MP 3x optical zoom lens. It fully covers the 16-270mm focal length, 16mm super wide angle, 80mm 3x optical zoom, 135mm 5x hybrid zoom, and 270mm 10x digital zoom. At the same time, Huawei Mate 20 RS Porsche design camera supports up to 102400 ISO, with incredible night shots, and still captures clear effects with 0.5 lux brightness. The battery life of Huawei Mate 20 RS Porsche design is equipped with a 4200 mAh large battery which supports the 40W super fast charge and can deliver up to 70% in 30 minutes. It also has 15W wireless fast charging function.